Laguna Beach High School’s Kayla Coscino won both the girls short board and longboard in the individual league final surfing championships at Upper Trestles Nov. 7 and 8. Individual league final winners, from left, Claire Kelly, Kayla Coscino and Kalohe Danbarra. Top surfers from Laguna Beach, San Clemente, Dana Hills and Newport Harbor high schools competed. Six LBHS teams members in the boys short board division earned spots in the quarterfinal, better than in any year previous, according to coaches Scott Finn and Alisa Cairns. Jeremy Shutts finished third overall, while Jake Levin also took sixth in the final. Noah North and Dante Madrigal performed well and just missed the final. Sam Nelsen and Liam McCue surfed well, but were edged out in the quarter-final. In girls short board, besides Kayla taking the big win, Kalohe Danbarra came in second and Claire Kelly in fourth. Kayla also took control of long board, and surfed her way into a win there as well, a first any competitor has won double divisions in the Individual League Finals, according to the coaches. 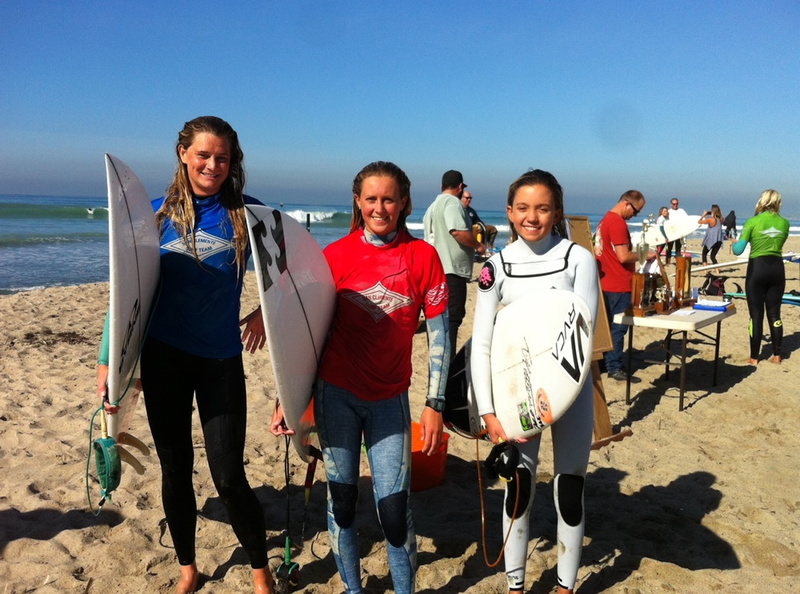 Annika Pitz and Grace Welsfry also surfed well in long board, just missing the final, the coaches said.